Ben Barba's NRL career looks over after he was sacked by North Queensland following an incident in a Townsville casino. Ben Barba's planned comeback to Australian rugby league is in tatters, the controversial playmaker sacked by North Queensland hours after he was touted as a redemption storyline for the revamped All Stars concept. Barba was sacked by the Cowboys on Friday night in relation to an incident at a Townsville casino, the same day the 29-year-old was officially unveiled as fullback for the Indigenous All Stars, who play their Maori counterparts in Melbourne on February 15. The All Stars match was Barba's first opportunity to play in Australia since he was banned for his second illicit drug strike following Cronulla's maiden grand final win in 2016. The Cowboys sacked Barba after the NRL was made aware of the incident, with Nine news reporting Queensland police are also involved in the investigation. Earlier on Friday, NSW State of Origin coach Laurie Daley said he was excited about Barba's return and urged him to make the most of his career lifeline. "It's a big game for a lot of people and also Benny because he can come back and put the stuff that happened to him behind him and pull on the shirt and represent his family and his culture. 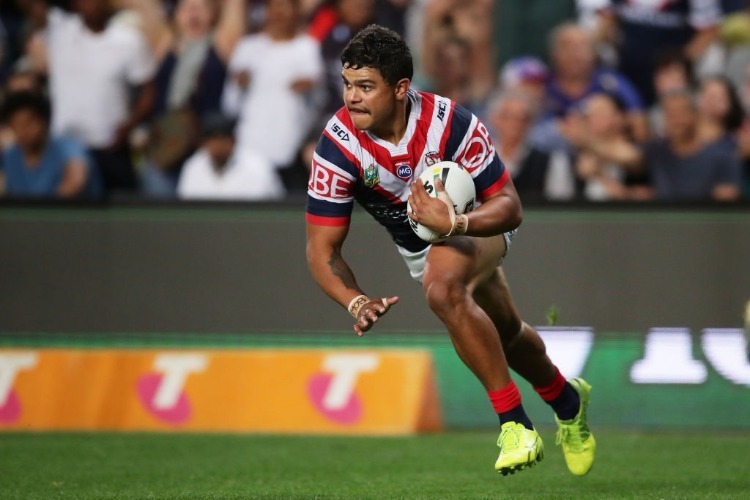 The former Dally M winner was to feature in an exciting backline with Latrell Mitchell - who has chosen to represent his culture over the Sydney Roosters' World Club Challenge tilt - Blake Ferguson, James Roberts and Josh Addo-Carr. Mitchell was given the blessing of club bosses to turn out for the Indigenous All Stars and miss the Roosters' attempt to be crowned world champions two days later against Wigan. "It was tough for Latrell," Daley said. "He realises the Roosters gave him a good opportunity, won a premiership with them last year and he would have loved to have been a part of the World Club Challenge. But he realises his culture is special to him." The All Stars concept, absent from the 2018 calendar, has been revamped with the Maori All Stars replacing the World All Stars. And Daley said he hoped the Maori side - featuring Kalyn Ponga in his first top-level appearance in the No.6 jumper - would help to revitalise the pre-season fixture. "The Indigenous All Stars have worked a lot in the community - they embraced the concept," Daley said. "The World All Stars really had nothing to play for. The Maoris, with their culture, have plenty to play for. It'll be an exciting contest." Indigenous All Stars: 1. TBC, 2. Blake Ferguson, 3. James Roberts, 4. Latrell Mitchell, 5. Josh Addo-Carr, 6. Cody Walker, 7. Tyrone Roberts, 8. Andrew Fifita, 9. Nathan Peats, 10. Leilani Latu, 11. David Fifita, 12. Adam Elliott, 13. Tyrone Peachey. Res: 14. Will Chambers, 15. Josh Kerr, 16. Chris Smith, 17. Alex Johnston, 18. Jesse Ramien, 19. Tyrell Fuimaono, 20. Kotoni Staggs.